J’adore France. The flowing language, the elegant architecture, the chic style, and the incredibly luxurious food… oh la la! My love even manifests in the French middle name that we gave our daughter… rather than say, a Chinese one. I’ve been to Paris once. It was an amazing trip and I dream about the day that I can return to explore the bucolic, postcard-perfect (as my photographer’s eye imagines it) French countryside. Since it will likely be some time before I can make it there, it is a great joy to visit by way of Mimi Thorisson’s “French Country Cooking: Meals and Moments from a Village in the Vineyards“. 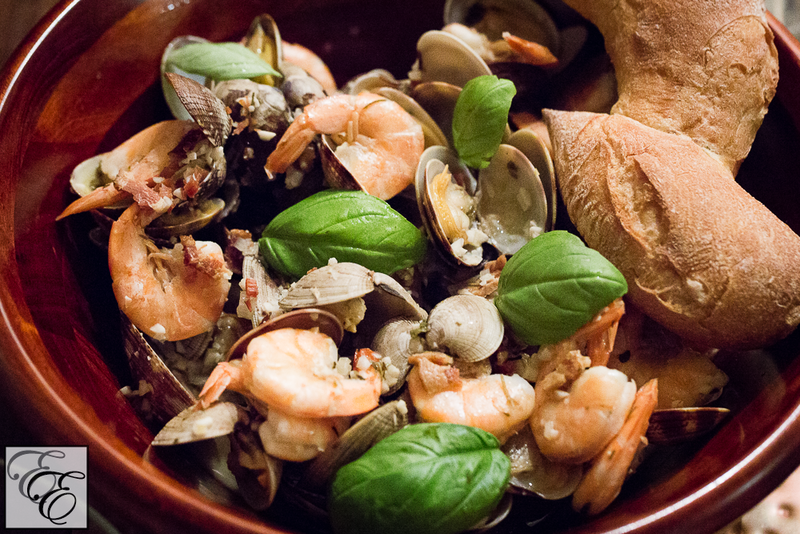 A global citizen who has lived in cities across Asia and Europe, Mimi is a food blogger (she writes Manger) who has settled in the Medoc region with her beautiful family (including six children and fourteen dogs!) in a grandly picturesque chateau, No 1 rue de Loudenne. She tells us of the chateau’s century-old history of being a hotel and restaurant, to becoming a home for several generations of families, and now having reinvigorated kitchen and dining rooms that once again serve as a restaurant. 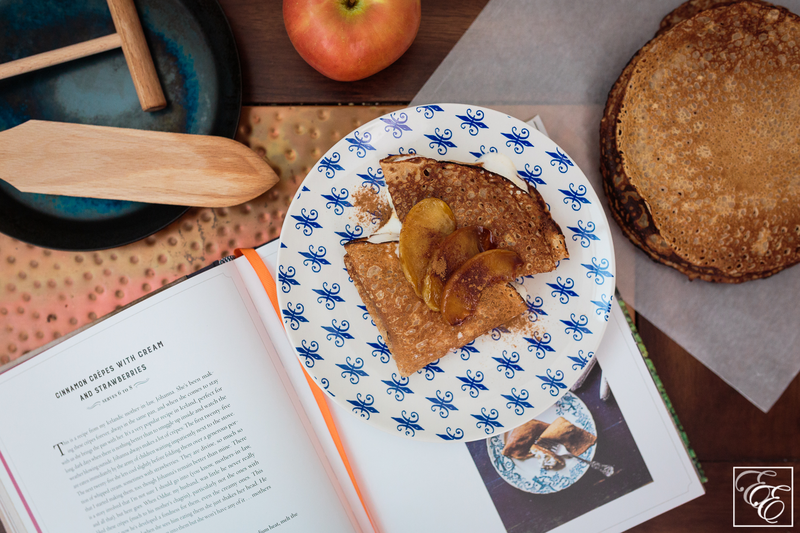 Each page unfolds as a beautiful narrative of French culture, Mimi’s family stories, and as expected, mouth-watering recipes generously garnished with impeccable food photography. The recipes range from the classics – French onion soup made with duck fat – to native French dishes that are new to me, such as chestnut galettes. From reading her story, I quickly get to know Mimi as someone who loves good wine, pancakes of all sorts, and creating soul-warming feasts for those around her. I am similarly inspired to create comforting, delectable feasts from the many treats that she offers. 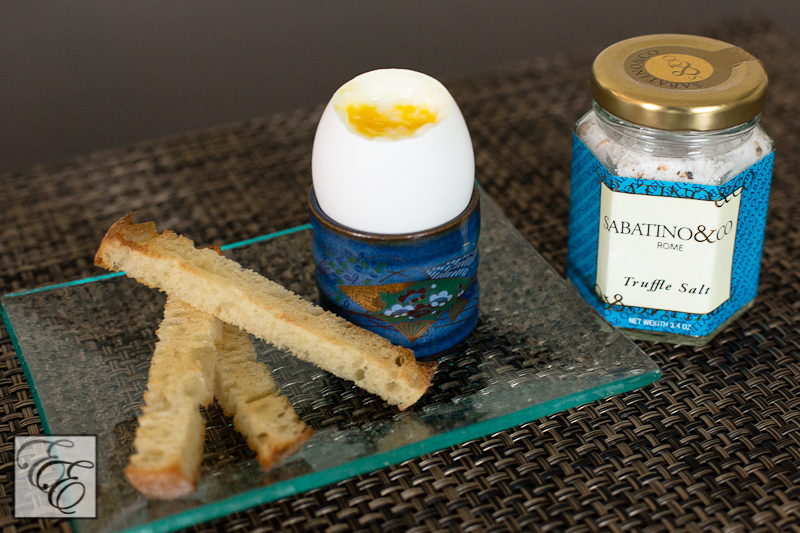 I have a number of dishes bookmarked for brunch, le goûter (a very lovely French tradition of an afternoon after-school sweet snack), l’apéro (happy hour enhanced with delicious nibbles), dinner and dessert. It was so hard to decide which to dive into first, but it wasn’t hard at all to commit to cinnamon-scented crepes enveloping sweet whipped cream and caramelized apples. 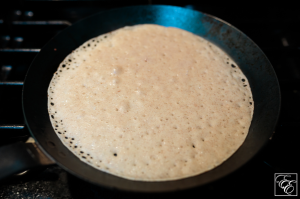 In a small (8″) crepe pan over medium heat, melt 2 T of butter. Remove from the heat and set aside to cool. In a large bowl, whisk together sugar and eggs for a minute. Gradually whisk in the milk and 1/2 t vanilla. In a separate bowl, whisk together the flour, cinnamon, baking powder and salt. Whisk the flour mixture into the milk mixture until you get a smooth, fluid batter. Finally, stir in the melted butter. 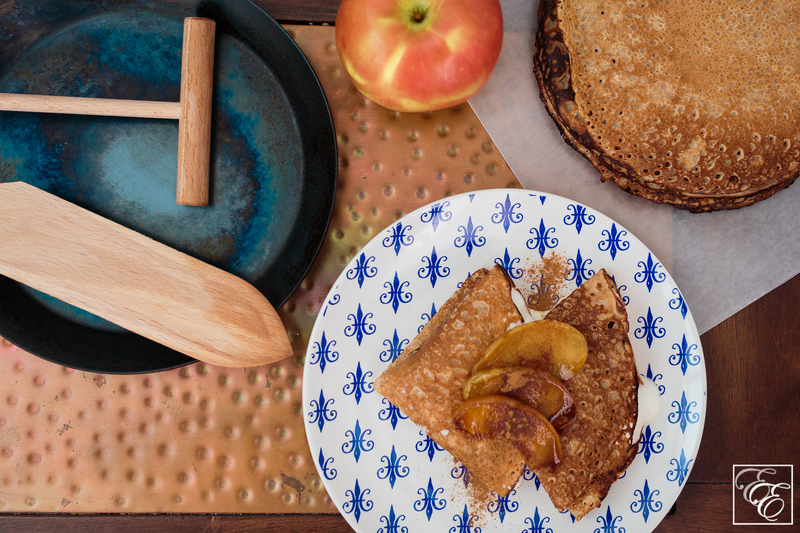 Return the crepe pan to medium-high heat. When the pan is very hot, spoon 2 tablespoons of the batter into the pan, swirling the pan to cover the surface evenly. Cook for a minute or so, until the edges start browning. 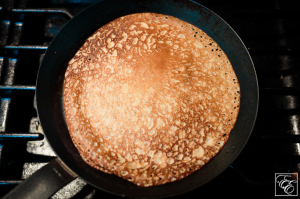 Lift the edges slightly with a butter knife or crepe turner, then flip the crepe and brown the other side, about 30 seconds. Transfer the crepe to a plate and continue cooking the remaining batter in the same fashion, staking the crepes on top of one another. You should get 20 to 25 crepes. When finished, cover the stack with an inverted plate, wrap in a clean kitchen towel, and cover with plastic wrap or a plastic bag to keep the crepes moist and soft. You can keep them this way for up to 6 hours before serving. Core and thinly slice the apple (I left the peels on for texture and rustic appeal). Heat a small saute pan over medium-high heat, melt 1 T of butter. Sprinkle brown sugar over (I used ~1 T) and let dissolve. 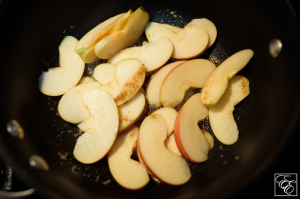 Stir briefly and add apples and a splash of Calvados. 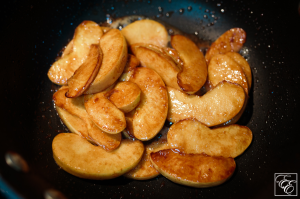 Cook, stirring occasionally, until liquid has evaporated and a caramelized sauce thickly coats apple slices. Remove from heat. Just before serving, whip the cream until it holds soft peaks. Add 1/2 t of vanilla and confectioner’s sugar to taste. Whip briefly to blend in. Spoon a tablespoon or so of whipped cream into the center of each crepe, add 2 apple slices, and then fold in half and half again to form a triangle. 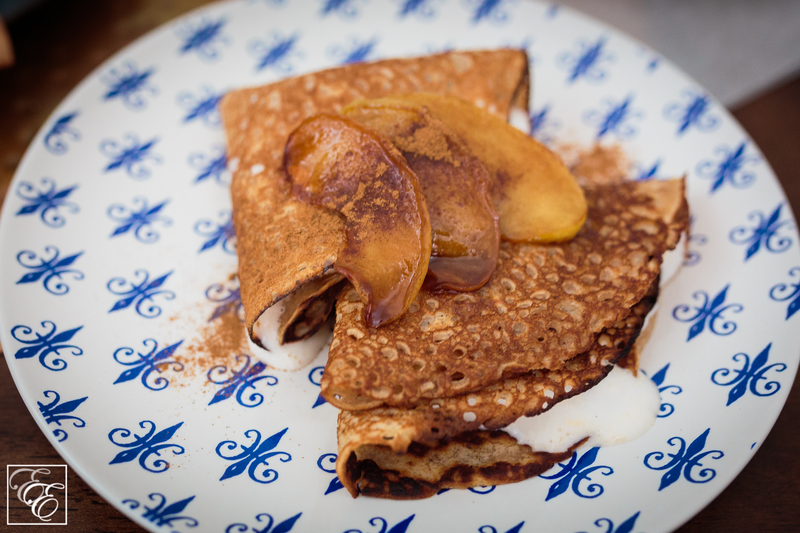 Top folded crepes with a few apple slices, whipped cream, and a sprinkle of cinnamon. Serve immediately. 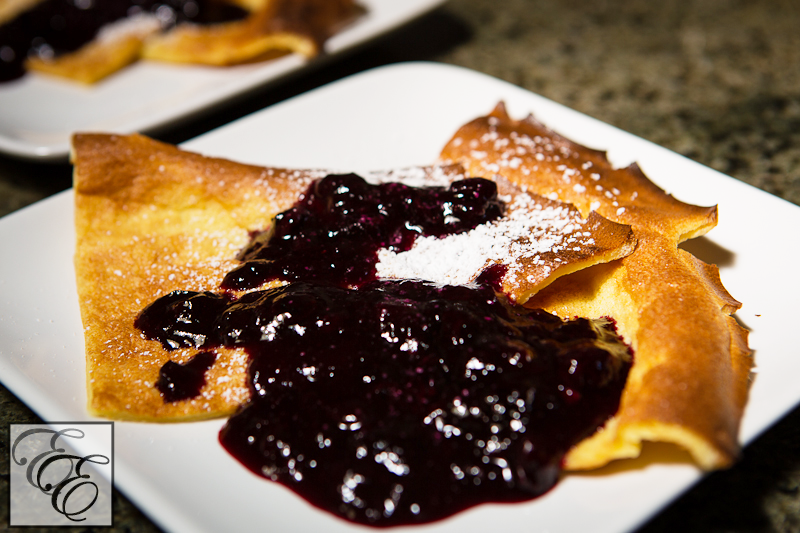 Wow, these crepes were deliciously decadent! 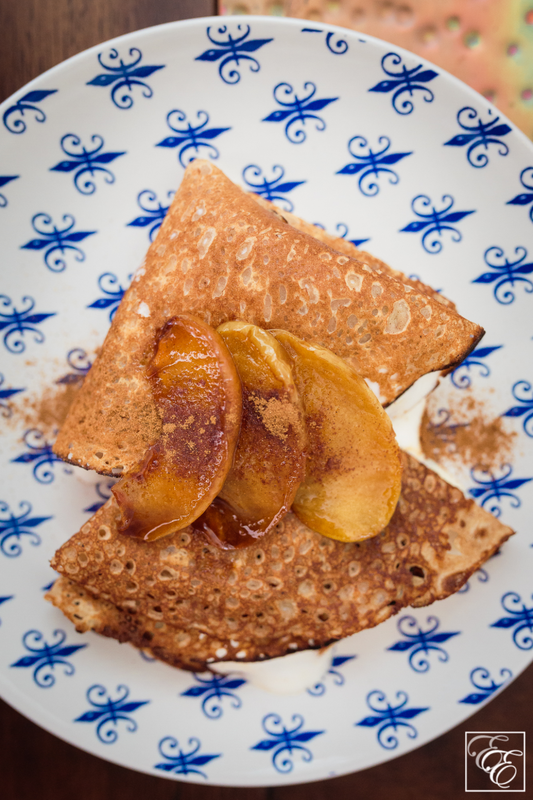 The sweet cinnamon crepes were appropriately thin, yet held together well. Combined with cloud-like whipped cream and crunchy-chewy sweet buttery apples, this was a real treat. Both my husband and I licked our plates clean, and I could swear that our daughter eyed us intently the entire time, her little tongue darting in and out of her mouth with interest. I enjoyed the fact that the crepes didn’t take the several-hour resting period that other crepe recipes call for, and that the recipe makes a generous number of crepes for subsequent use. Using some of them, I’ve since made caramelized rum and banana crepes in less than ten minutes (which were devoured even more quickly)! 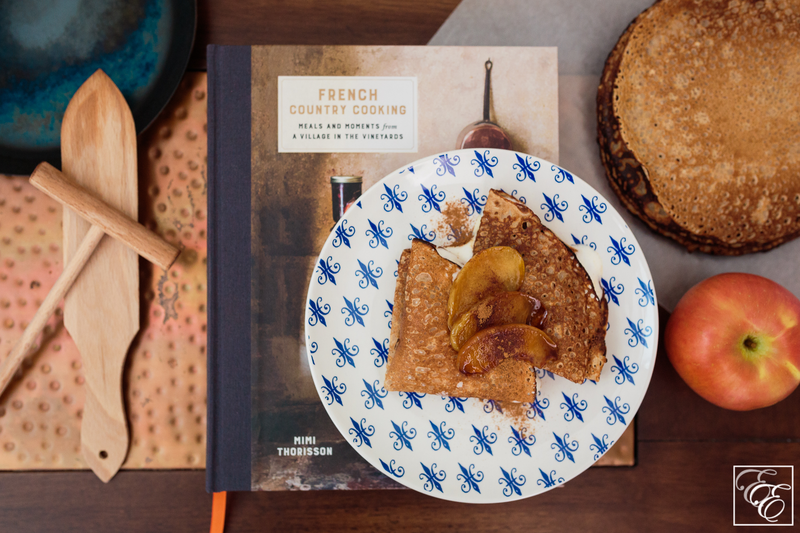 “French Country Cooking” is a beautiful cookbook that is as much an instant vacation escape to the French countryside, as it is a source for authentic, accessible French recipes. I’d say that this is a must-have for any Francophile. Bon appétit!